In Uttarandhra, Vizianagaram district is vital for any political party. This region has nine assembly seats and one Parliament seat. In 2014, TDP’s Ashok Gajapathi Raju contest and won Vizianagaram Parliament. He went on to become union minister as well. Once again he is likely to get the same ticket. However, YSR Congress party has no candidates, leave about giving a fight, at least to contest. The reason being most of the YSRCP leaders want MLA ticket instead of MP seat. They opine that they will lose grip on the district if contested as MP. Botsa Satyanarayana is the prominent leader among YSRCP and his wife Botsa Jhansi was former MP. But this time she is staying away from party activities due to unknown reasons. So YSRCP had plans to field Botsa for Vizianagaram seat. But Botsa is preferring assembly ticket so that he can once again dominate in the district like he did earlier when he was in Congress party. So with Botsa and his wife showing no interesting on Vizianagaram Parliament seat, YSRCP has given the charge to Bellana Chandrasekhar who is prime supporter of Botsa. Even Bellana doesn’t want to contest for the MP seat and clarified the same to YSRCP. Vizianagaram YSRCP assembly seat is confirmed to Veerabhadra Swami and so there are absolutely no takers. 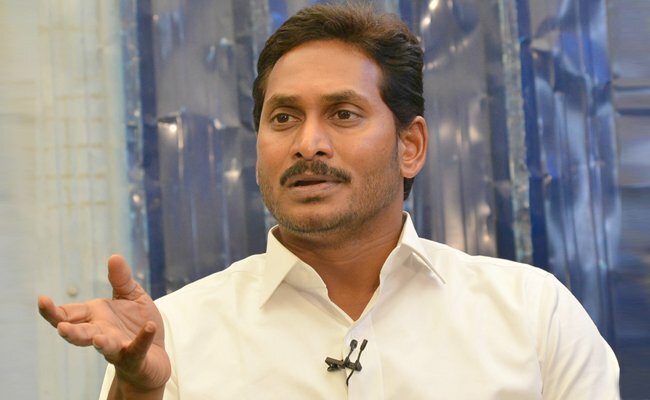 With no one coming forward to contest for Vizianagaram MP seat, YSRCP is confused and is looking for suitable candidates. Previous articleNTR & VVR Effect on Yatra?